Training, studying and even becoming the first female student council president of the school, Misaki has gained a reputation among the male students body as an uptight boy-hating dictator and as a shining hope for the teachers and fellow female students. However, despite her tough-as-nails appearance, she secretly works part-time at a maid cafe in order to support her family. 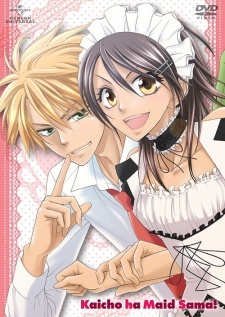 Unfortunately, her hard-earned reputation is threatened when the popular, attractive, and somewhat impassive Usui Takumi takes an interest in her after discovering her in a maid uniform after school.